•	Sale date: The public GTO opens on January 3rd, 2019, and ends on March 2nd, 2019. 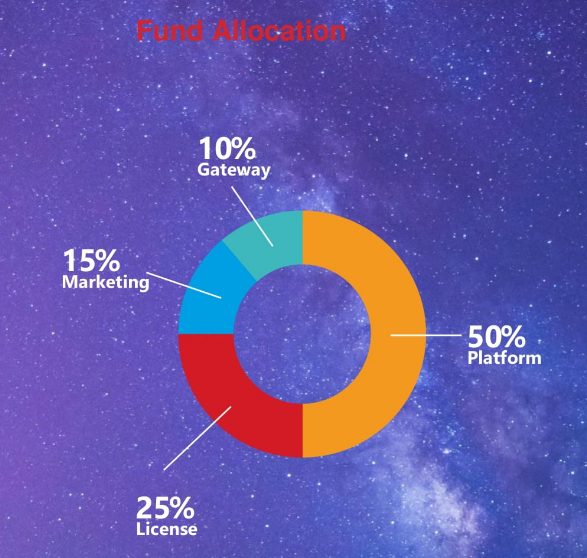 •	Total token: 50 million. •	Full control of your ICO dashboard. •	Token purchases with the appropriate legal agreement. •	Listing of multiple ICOs on a single platform. •	A crypto casino that boasts of over 10 different live casino games. •	STARS merchant account and company bank. •	Over 40 gambling software providers. •	Game management system and banner. •	Online shops with casinos. •	GTO Week-01: 20% bonus. •	GTO Week-02: 15% bonus. •	GTO Week-03: 10% bonus.